A distillery on the UK’s most northerly inhabited island and a rapidly growing Edinburgh headquartered firm supplying archaeology services are amongst the shortlisted businesses for the Federation Small Business’s Celebrating Small Business Awards. These firms are amongst 45 nominated businesses - stretching from Stornoway to Melrose – who will be considered for 11 awards on 21 February 2019 at a special ceremony at the Playfair Library in Edinburgh. 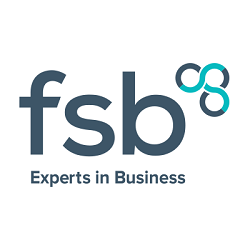 The awards are sponsored by FSB Insurance Services. Unst is home to the Shetland Distillery. Owned by Frank and Debbie Strang and Stuart Nickerson, it produces Shetland Reel gin. They are now raising the finance for Shetland’s first whisky distillery at Saxa Vord. From their base in Edinburgh Headland undertake archaeological work related to the construction industry throughout the UK. They have 4 offices in Hereford, Luton, Edinburgh and Leeds and a staff of about 150. Recent projects include the M74 Completion Project in Glasgow, the Aberdeen Bypass, the A14 Cambridge to Huntingdon Improvement scheme and the HS2 rail project. Small and medium businesses support 1.2 million jobs in Scotland. Further businesses with fewer than 50 employees sustain seven in ten private sector jobs in parts of rural Scotland and tens of thousands of jobs in Scotland’s cities.